This prestigious award is granted to an outstanding individual, organization, family or business that puts “West Virginia First” through service to others and volunteerism. Community service is one of First Exchange Bank’s five core values, and employees are encouraged throughout their career to be active, contributing members of their communities. First Exchange Bank supports organizations from local sports teams to cultural activities. Countless employees volunteer regularly at their churches, through their children’s activities, at local schools, and with their favorite civic organizations. 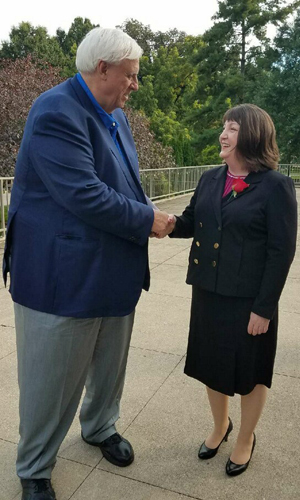 First Exchange Bank and the additional recipients were recognized at The Governor’s Service Awards dinner held on September 14th, 2017 at the Culture Center on the Capitol Grounds. First Exchange Bank is a locally owned and operated bank that has been serving the communities of Marion, Mon, and Wetzel counties since 1932. For more information on First Exchange Bank and their commercial lending products, visit www.FirstExchangeBank.com.